The nightlife in Istanbul is not the same in winter and in summer. 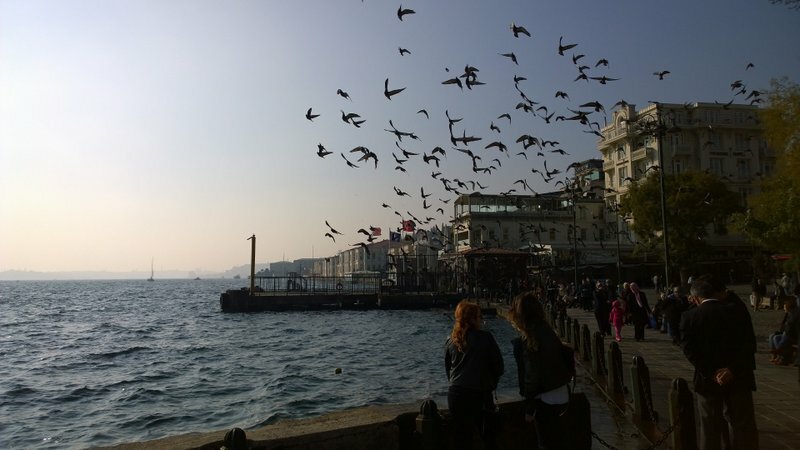 Winters in Istanbul can be surprisingly cold, particularly from the end of November to early March. During that time, temperatures rarely reach 10° celsius and you may have some snow. Logically, during this period the clubs and restaurants on rooftop terraces and along the Bosphorus are less popular. Instead, people stay cozy inside the doors of bars in Beyoğlu.